Darwin L. Sampsel, age 88, resident of Shelby died Friday September 7, 2018 in Elmcroft of Ontario. Born June 8, 1930 in Shelby to Edward Lee & Gladys Mae (Bonecutter) Sampsel, he was a lifelong Shelby resident. He was a 1948 graduate of Shelby High School and a graduate of the Ohio State University. 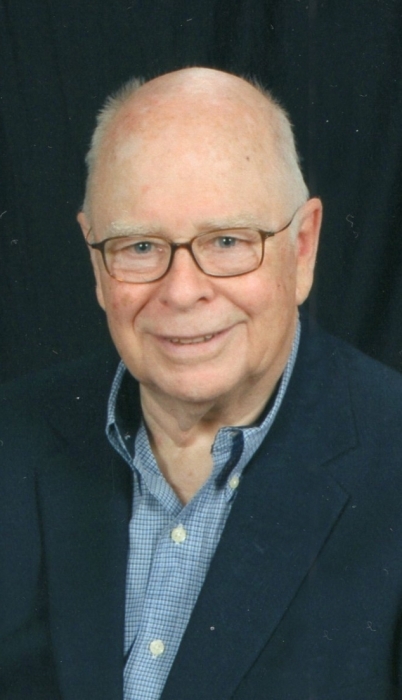 Darwin was a public accountant and owner/operator of Sampsel & Associates in Shelby for many years. During college he was enrolled in ROTC and served with the USNR from 1948-1950 as a midshipman. Darwin was a member of the First Lutheran Church where he had served on various committees, the Shelby Jaycees and the Shelby FFA Buyers Club. He had served the City of Shelby as a Fourth Ward Councilman for many years. Darwin enjoyed gardening, traveling, golfing and especially spending time with his family. He was an avid Ohio State and Shelby Whippet Sports fan. He is survived by his wife, LouEllen (Fireoved) Sampsel, whom he married April 22, 1950; two daughters, Sherry (Gary) Loveless of Wadsworth and Linda K. (Steve) Schumacher of Shelby; one son, Randy L. (Kelly) Sampsel of Shelby; 7 grandchildren, Matt (Lisa) Loveless, Rod (Cathy) Loveless, Ben (Ashley) Loveless, Kate (Chuck) Curren, Alex (Bri) Sampsel, Cooper (Lacey) Sampsel, Carrie (Scot) Sifferlin, four step grandchildren Brittany (Scott) VanDine, Morgan (Tyler) Ross, Chelsea Schumacher and Zach Schumacher; 10 great grandchildren and 4 step great-grandchildren and other relatives. He was preceded in death by his parents and one sister and brother-in-law, Beverly Sampsel Hummel and Haven Hummel. Funeral services will be held 10:30 AM Tuesday September 11, 2018 from the Barkdull Funeral Home in Shelby. Pastor Russel Yoak will officiate with internment held in Oakland Cemetery. Friends may call at the funeral home Monday from 4:00 to 7;00 PM. Memorial expressions may be made to the First Lutheran Church, 33 Broadway, Shelby, OH 44875 or Hospice of NCO, 1050 Dauch Dr., Ashland, OH 44805.